With over 70,000 living species (Rosenburg, 2014), the phylum Mollusca is second only to the Arthropoda in terms of total species diversity. The great diversity of mollusks is owed at least in part to their success in occupying most habitats on earth, including the marine realm, freshwater lakes and rivers, and even land. Some are filter feeders, some are herbivores, and some are deadly predators. 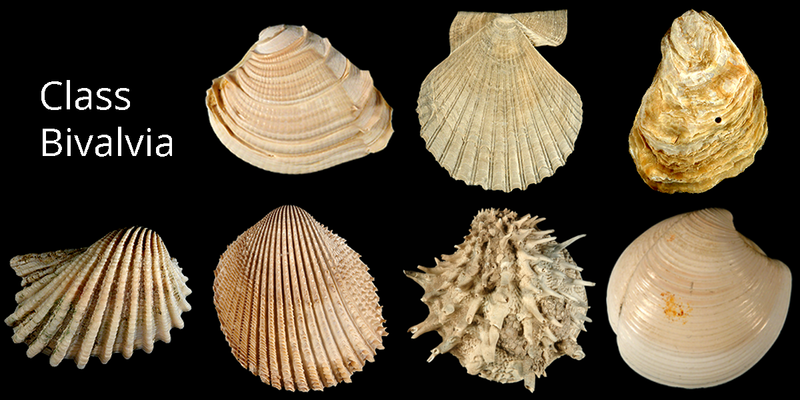 The strong, easily-preserved shells of mollusks have left behind a rich Cambrian to Pleistocene fossil record and they have long been important subjects of macroevolutionary analyses of the fossil record. 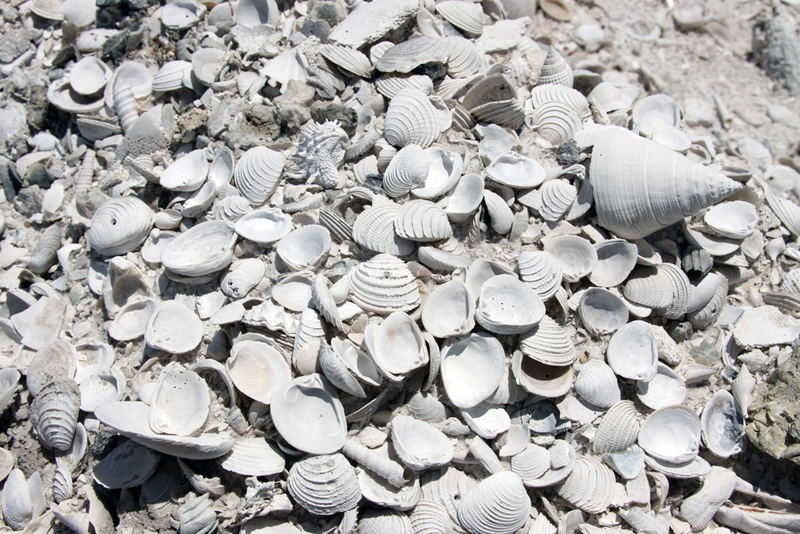 Pliocene-aged fossil mollusk shells exposed by quarrying activity in southern Florida. Over 35,000 living marine species (WoRMS); over 11,300 extinct fossil species (PaleoDB/Species List). Clams, oysters, mussels, and scallops. Over 8,300 living marine species(WoRMS); over 6,800 extinct fossil species (PaleoDB/Species List). Octopuses, squids, cuttlefish, nautiloids, and ammonoids. Over 800 living species (WoRMS); over 10,200 extinct fossil species (PaleoDB/Species List). Mantle: A skin-like layer that is responsible for generating the shell. Mantle cavity: A space created by the mantle that holds important organs, especially the gills. Radula: a strap-like feeding structure used for scraping; sometimes modified for spearing. Habitats: Marine (all depths), freshwater, and terrestrial. Feeding Ecology: Filter feeders, herbivores, and predators. 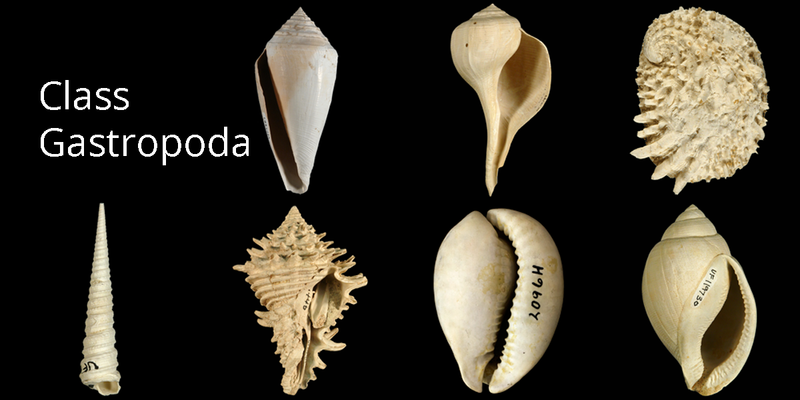 Molecular sequence data support the monophyly of Mollusca, but there remains uncertainty about how the different classes are related to one another.